This article is about the professional american golf player, Nicholas Alan Watney also known as Nick Watney. Here is given the profile, career and statistics of this player. Watney also has 4 PGA Tour wins in his account. 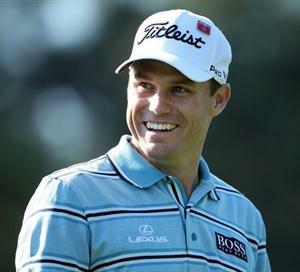 Nick Watney is a professional golf player from America. With four PGA Tour wins till date, he broke into the Top ten of the Official World Golf Ranking in 2011. Watney started playing professional golf in 2003. On the Canadian Tour, he won the Lewis Chitengwa Memorial, his first professional win. Soon after, he started playing in Nationwide Tour and won the Nationwide Tour Championship in 2004. Watney's good performance on Nationwide Tour earns him qualification for the PGA Tour. His first PGA Tour win came at 2007 Zurich Classic of New Orleans. But his best performance came in 2011, where he able to make two PGA Tour wins including the WGC Cadillac Championship. He also broke into the Top 10 of the World Golf Ranking for the first time his career during the same period. Watney has also performed well in major championships of the professional golf. In 2010 Masters Tournament, he ended up as 7th position. In the same year at The Open Championship, he was tied at 7th position.